Let’s Talk About Agriculture and Write About it too! Are you involved in agriculture? Do you enjoy learning about hot topics that affect our daily lives? Maybe you just want to learn more about the agriculture industry. Or you’re just in need of a second writing credit. If any of these apply to you, then here’s a class for your next semester. Agriculture Communication 2367 is a second level writing course. In this course, the focus is centered on issues in agriculture in modern day society. Some topics include GMOs, water quality, fracking, crisis communications, and many more. Not only do you get to learn about these topics, but you get to hear firsthand experiences from professionals in these fields. One subject for a lecture was GMO’s. Jennifer Coleman was our guest speaker from the Ohio Soybean Council and she spoke with us about what GMO’s actually were and how the public perceives the use of GMO’s in our foods. It was very interesting to hear firsthand from an expert in the field what foods were actually GMO and the public fears behind GMO’s. As someone who doesn’t have much agricultural background, it was a great way for me to learn about such a controversial topic. Since this is a writing course, you should expect to write some papers. Luckily, most of the papers that you will have to write about are topics that you go over in class. This makes it very easy to get informed on the subject beforehand and makes doing the writing assignments a breeze. There is also a research paper that is due at the end of the semester. While this may seem troublesome, there is a lot of class time spent on making sure that your paper will go smoothly and lots of help from the professor and TA’s. If you’re looking for a class that’s focused on expanding your knowledge in agriculture and not destroying your GPA, then Agricultural Communication 2367 is the class for you! With great professors, interesting topics, and the development of stronger writing skills, this class is perfect for filling your second level writing GE and learning about interesting topics in agriculture. Jessica wrote this blog post as part of an in class assignment for the agricultural communication 2367 class. All opinions are her own. I have been working at the State 4-H Office for a little over a year and a half now. As a 4-H Animal Sciences student assistant I primarily work throughout the summer creating and implementing nine different species skillathons for youth participants at the Ohio State Fair. 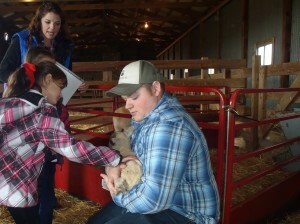 A skillathon is an educational test with hands on and practical elements that test the knowledge of youth participants in 4-H and FFA. Other projects I work with throughout the year include 4-H Ambassadors, the Ohio 4-H Conference, and Ohio Beef Expo all in various capacities. 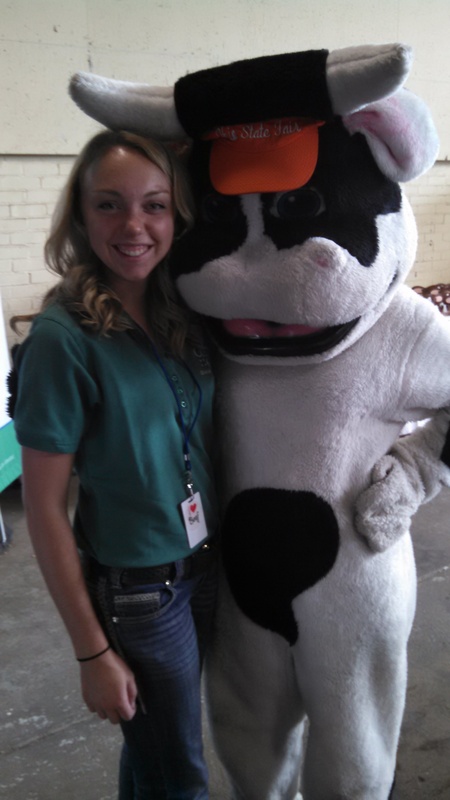 Krysti at the 2014 Ohio State Fair. Recently, we have been preparing for the upcoming Animal Science In-Service for 4-H professionals and 4-H enthusiasts which will be Monday, November 3rd. 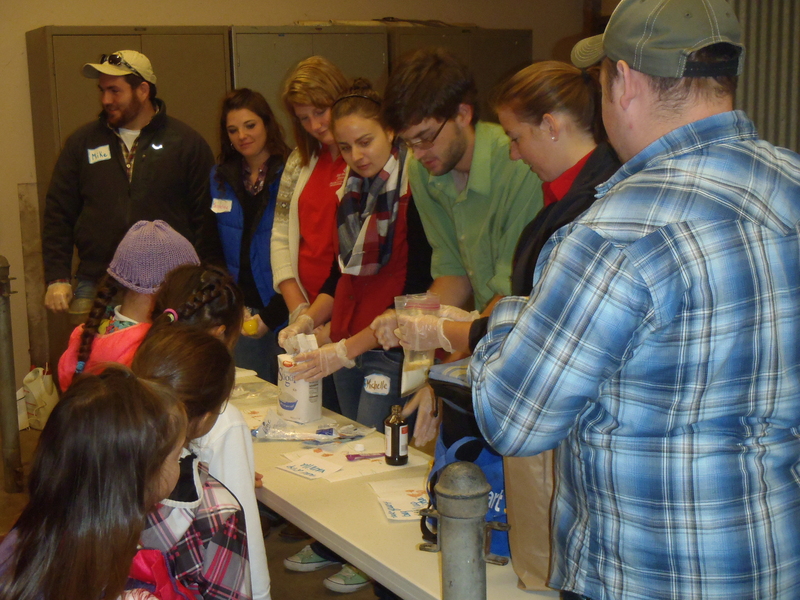 The In-Service will provide educational sessions in Quality Assurance, State Beef Cattle up-dates and more. 4-H professionals from across the state as well as senior fairboard members and 4-H club advisors will be in attendance for the betterment of their 4-H communities. My role for the in-service is behind the scenes documenting registration, helping prepare folders for participants and putting packets together for each county to take back and share the knowledge with their counties. Week #1: What is your favorite thing about campus in the fall? There’s nothing better than an early morning walk to class over the Olentangy River. The oranges, yellows and reds alongside the crisp water is picturesque. If you’re lucky enough, you’ll pass through when there’s a breeze just strong enough to knock the leaves free from the branches. It’s gorgeous! Question for Week #2: What is your favorite fall event at Ohio State? The Department of Agricultural Communication, Education, and Leadership will be at the National FFA Convention this week in Louisville, Kentucky! While at the convention, we will be partnered with the College of Food, Agricultural, and Environmental Sciences to share opportunities with high school FFA members. If you will be at the convention and are interested in learning more about the majors of agricultural communication, agriscience education, or community leadership, visit the Ohio State booth in Aisle 1500! You can learn about the 19 other majors in our college there as well, so be sure to stop by! Last year, the National FFA Organization featured Ohio State in a video they did. Our students and staff were filmed during set up and throughout the convention. Check it out below! This semester I am in the Agricultural Issues in Contemporary Society course (AgrComm 2367) here at Ohio State. One of our recent assignments was to visit a site of agritourism/agritainment, which is a location centered on agriculture that invites in the public for the experience. My site of choice was my local pumpkin patch: Fleitz Pumpkin Farm, located in Oregon, OH. I was going home for the weekend and thought that this would be the perfect place to write about, considering they offer so many family traditions and fun activities. 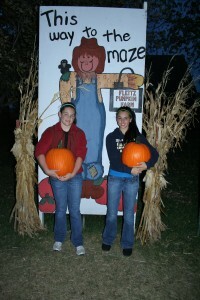 This particular pumpkin farm has been one of our personal family traditions, as well as many other families’. People will travel from out of town just to visit the Fleitz Pumpkin Farm every Halloween season. There was an array of choices of pumpkins that range from the size of a small child to the size that can fit in the palm of your hand. It really was a cool sight to see all of the friends, families, and children running around trying to find their favorite pumpkin to take home and carve. Both my sister and I picked out our own favorite pumpkins to carve later that evening. 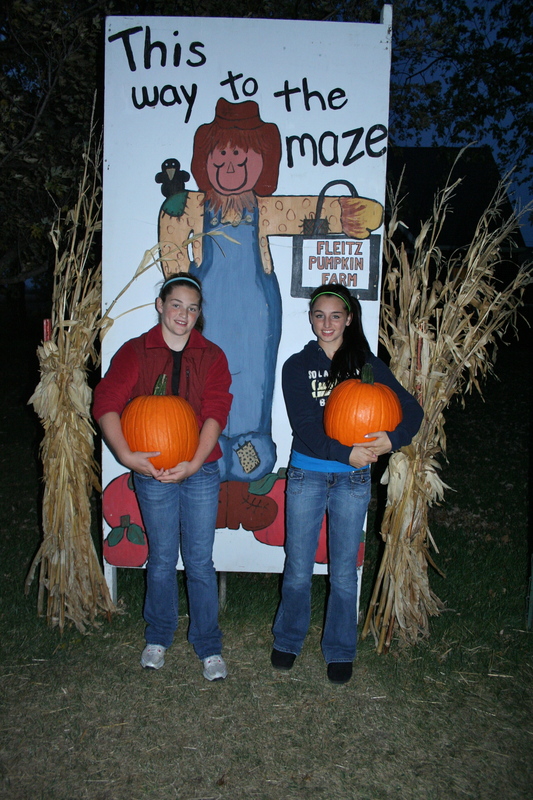 Fleitz Pumpkin Farm also offers hayrides, goat feeding, corn mazes, and a snack shack that serves their famous homemade donuts and cider. First, our family participated in the larger of the two corn mazes that they had and after a bit of confusion and running in circles, we finally made our way out of the maze! Next, we just had to get our share of donuts and cider. At this point, the line was backed up quite a bit, but that was not going to stop us. After waiting for 40 minutes, we finally got our donuts and cider. 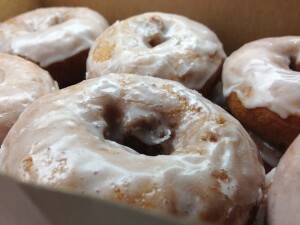 These particular donuts have been and always will be by far the best donuts that I have ever had, and everyone else in my hometown would agree with that as well. This time around we bought a whole dozen and took some home to have them later too! My experience at the pumpkin patch meant a little bit more to me this year. 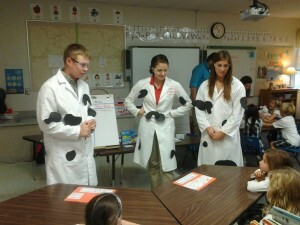 I am an Animal Sciences major and not an Agriculture based major. Because of this Agricultural Communications course, I was able to actually think about the hard work, planning, and thought that went into the agriculture behind the family friendly experience. There is a lot of work that goes into a business like Fleitz’ and I definitely got a chance to appreciate it more this year. Lindsay wrote this post as an in class assignment for the Agricultural Communication 2367 course. All opinions are her own. My recent trip to Circle “S” Farm was one of the most enjoyable fall experiences I have had so far this year. This farm offers a wide range of activities and could be considered a good example of agri-tainment (a topic of discussion in a recent session of AgComm 2367). Circle “S” is not too far from Columbus, and the drive can be a scenic one if visitors choose the right route to get there (“the back way”). For those looking to connect with a local farm and incorporate a fun autumn theme, Circle “S” Farm is a good venue to visit. If you arrive at the farm hungry, just visit the Circle “S” store for some refreshments. There are a lot of choices, but most people seemed to be selecting some of the freshly made donuts! There are several different flavors with various toppings, and other fall favorites like caramel apples. I took a picture of the pumpkin flavored donuts that I purchased during my visit. I also acquired a gallon of sweet local apple cider to go along with those donuts. Both were delicious! Other options include light snacks, soups, sandwiches, and hot dogs. Drinks can also be purchased, along with many canned goods and dry mixes. Some of the attractions at Circle “S” Farm include: hayride, fun barn, petting zoo, corn/sunflower maze(s), hay bale cave, and photo op spots. If you want to take home a pumpkin, you can upgrade your ticket for just a few dollars more. The hayride takes visitors out to the pumpkin patch where they can choose their favorite pumpkin from the various sizes and shapes available. The fun barn is really great for kids; there are lots of hay bales and slides for playing. The petting zoo has some really cute goats that seem to enjoy the attention from guests. A trip through either of the mazes is good for immersing oneself in a puzzle made from plants. The hay bale cave seemed fun for the children to explore. Let’s not forget about the photo ops! There are lots of sites to snap photos, such as with the giant pumpkins, the “put-your-face-in-the-hole” spots, and near the tractor or the duck pond. If you are in the fall mood and want to support local agriculture, you should consider a visit to Circle “S” Farms! Please visit: http://www.circlesfarm.com for more information. Camille submitted this blog post as part of an in class assignment for the agricultural communication 2367 course. All opinions are her own. The question that was presented to me was why I chose a minor in Agricultural Communication? 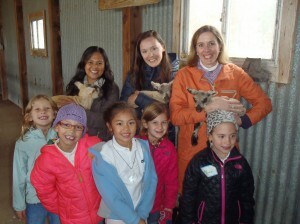 It all started with a little shy girl entering 4-H 13 years ago. I started by doing my projects and working with other children my age. I began to open up and share my ideas and wanted to share my knowledge with those around me. 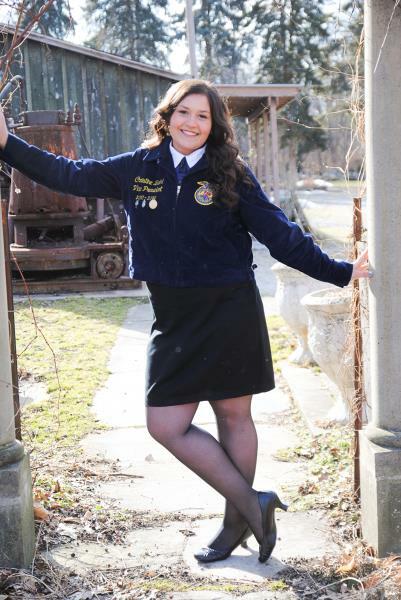 Over these years, I became the president of my 4-H club, vice-president and an active member of the Firelands FFA Chapter in Oberlin, Ohio and took leadership positions on the Lorain County Junior Fair Board. I worked with other members planning and running events through our club, chapter, and junior fair. I took offices and chairman positions where I was the person people went to when there was a problem or a question. In these organizations I learned not only how to take on responsibility, but also an abundance of knowledge about agriculture that I still share today. With all of these great organizations, I was able to blossom into the intelligent, strong, and independent young woman I am today. I decided to attend The Ohio State University and go into agricultural fields because agriculture is what shaped me and helps fuel the world. Through my FFA chapter, I learned about agricultural literacy and absolutely love informing anyone who is willing to listen about agriculture. Through my county junior fair board, I was able to work with Ohio State Extension and I have grown to understand the dedication and hard work these people put into local youth agriculture. 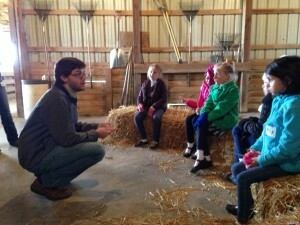 I wanted to pursue making a difference in the agricultural society. I plan on taking my degree and returning to my community to maybe someday work with 4H, FFA, or Extension. In the Department of Agricultural Communication, Education, and Leadership, one may encounter a variety of interesting projects and coursework through a vast offering of courses. Now, if you were to solely judge student learning progress on their ability to sing a song about making butter, you are missing what goes on behind this process. Students enrolled in Community Leadership 5330: Teaching Methods in Non-Formal Education have been engaged in their learning to plan lessons, develop a unit of instruction, and facilitate non-formal learning environments. 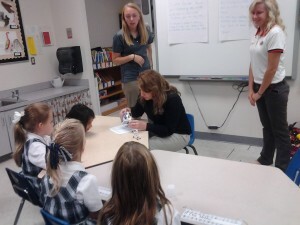 Through a valued partnership with the Columbus School for Girls, COMLDR 5330 students are provided the opportunity to develop lessons for first grade students. The first of which was a butter making demonstration to display changing states of matter and share a preview of agriculture through dairy product facts. In small groups, COMLDR 5330 students worked diligently to create an educational and enthusiastic 30-minute lesson to teach their first grade audience about butter. By working together, students successfully achieved their task of creating a lesson plan with all required components and prepared any additional learning aids-from costumes to bringing toy cows! Keeping the first grade audience in mind and being aware of learning styles, creativity was evident! 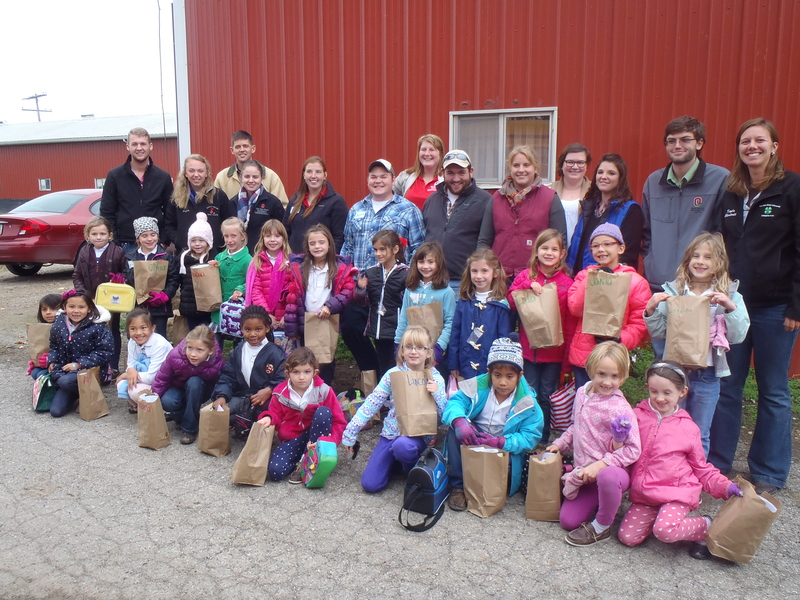 With lesson plans and butter-making supplies in hand, students were ready for a field trip to the Columbus School for Girls to teach butter-making demonstrations! Krysti, Sarah, and Renea pour heavy whipping cream into a container to make butter. A close ratio of college students to first graders provided a learning environment of close interactions of our student educators with their first grade learners. Equipped with their skills in a variety of teaching methods, students utilized songs, games, active learning, and demonstrations to teach their first grade learners the process of transforming heavy whipping cream to spreadable butter to be enjoyed on crackers! Zach, Michelle, and Caitlin teach first graders about butter making. Through COMLDR 5330, students are constantly immersed in their learning and skill development through a variety of teaching experiences. These students are actively preparing another lesson for Food & Fiber Day, when the Columbus School for Girls first grade classes will join our students at Ohio State University’s very own Sheep Facility! With opportunities to teach in front of their peers and to first graders, these students are gaining beneficial experience to prepare them for their aspired careers in non-formal education! Thank you to teaching assistant Kayla Oberstadt for writing this blog post and sharing the photos. This past May I had the amazing opportunity to spend 10 days with the Teays Valley FFA Chapter and High School. I got the chance to work with Mr. Aaron Hansleman and Mr. Josh Bluck while I was there, along with over 100 students. I was not sure what to expect to get out of my Early Field Experience, but I can honestly say I learned more than I think I could have from any college class. I never stopped learning new things and it has made me very excited and motivated to be the best Ag teacher I can! We spent most of each day in the shop, but I had the opportunity to attend State FFA Convention, visit their FFA farms, and help the students as they educated elementary students with Soil and Water Conservation. In the shop I got to learn about, and help with, some of their different projects including picnic tables, stools, engines, and some students had even designed their own wood projects. I also had the opportunity to not only ask Mr. Hansleman and Mr. Bluck questions, but the students as well. I took one day to do surveys for each of the classes I was observing and when I was done with the surveys I had a quick Food Science lesson that I presented to the class with some taste testing and funny activities. 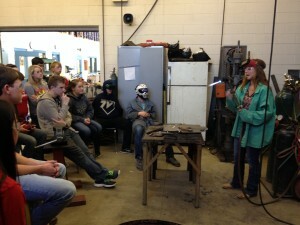 During another day, I had the privilege to teach the juniors how to oxy-acetylene cut. This was an experience since I had not done much shop work in 3 years, but it was a great way for me to find things to work on! Ms. Burns shows students at Teays Valley how to make a cut. While I was there I also spent time in the main part of the school observing some of the senior’s favorite teachers. They wanted me to not only be able to see shop work, but also how to teach in a classroom. This was great because I saw how much collaboration and cooperation is necessary from all teachers in the school to make an FFA chapter and agriculture program run. Now I feel very prepared for what I am going into and I cannot wait to become an Ag teacher!